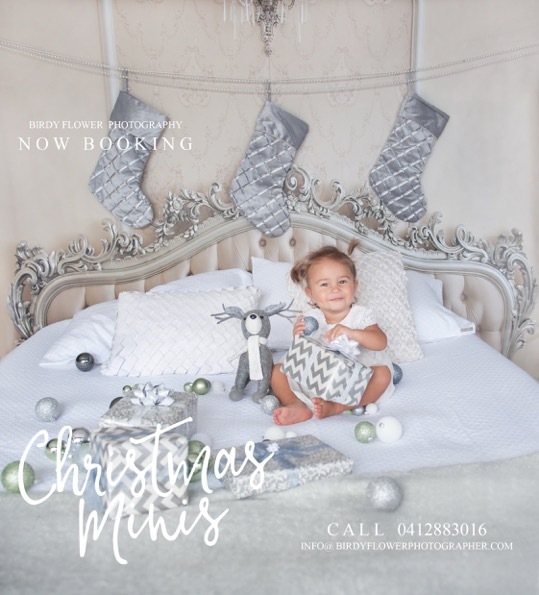 Christmas mini sessions are back and are in high demand. These spots are limied and will sell out so make sure you get in before they do. Please purchase your session and then email info@birdyflowerphotography.com.au or call Katie on 0412 883 016 to organise your session day and time.